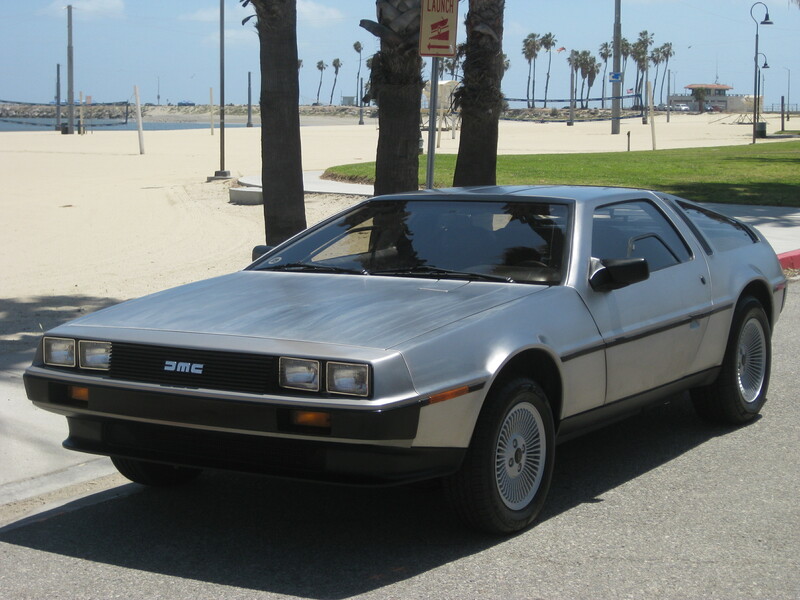 For your viewing and bidding pleasure go Back to the Future with this immaculate 1981 DeLorean DMC-12. This car is an amazing one owner, rust free California car that has less than 23K documented miles on it. Garaged from the start and maintained to impeccable standards. 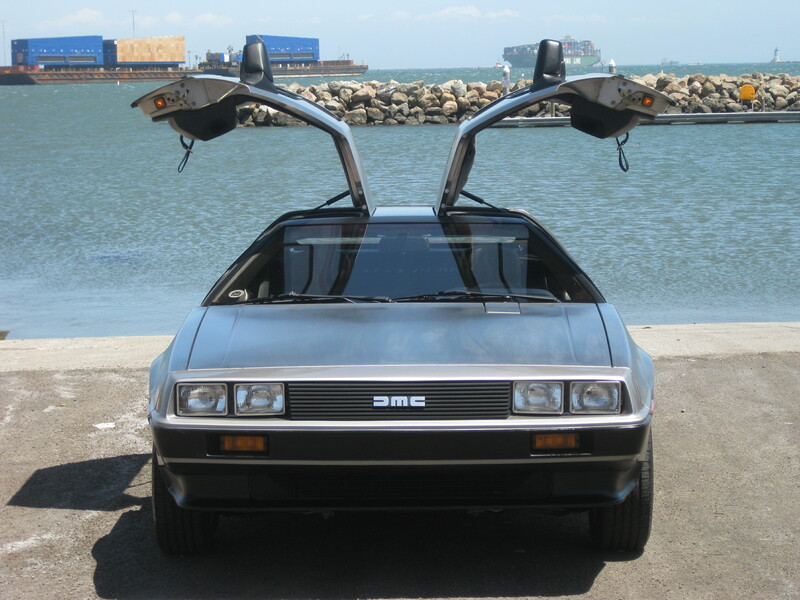 From its gull-wing doors, fiberglass chassis, and brushed stainless steel body; this DeLorean is truly a stunner. Once you settle in you will notice the all black interior is in clean and tidy condition with no signs of wear on the seats or carpet. DMC offered strictly monochromatic leather inside their futuristic creation and, accordingly, this 12’s clean cabin is decked in factory-fresh Black. Lift the orange and red-lit doors and a plush driving environment kicks off with a pair of comfy bucket seats. A clean dash anchors correct gauges above the climate control and original DMC audio. Below the dash, a stitched leather console centers a tastefully updated shifter and factory power window switches on clean carpet that’s protected by black, “DMC” branded floor mats. In front of the driver, a leather-wrapped, 3-spoke steering wheel laps a fixed column. Behind the passengers, a netted cargo hold features enough room to stash essentials. And up front, a forward-tilt bonnet reveals four cubic feet of storage space. Starting easily from cold the idle does hunt until it warms up. The 5-speed manual gearbox is smooth and shifts very well. The brakes are firm and the car pulls up straight. The parking brake holds very well. The engine which has a very nice healthy sound to it, holds good oil pressure and good temperature with no signs of overheating. All gauges work, indicators self cancel, windshield wipers, headlights hi and low beam, side lights, brake lights, hazard lights, and horn are all functional. The radio and air conditioning are also working great! The body of the car is rust free and all lines are very straight. The stainless steel panels are in excellent condition with only a few very minor scratches on the front and rear (see pictures). All the paperwork has been kept nice and neat along with all the maintenance records. As stated above it is a one owner car, and the owner has been extremely diligent in keeping all records. 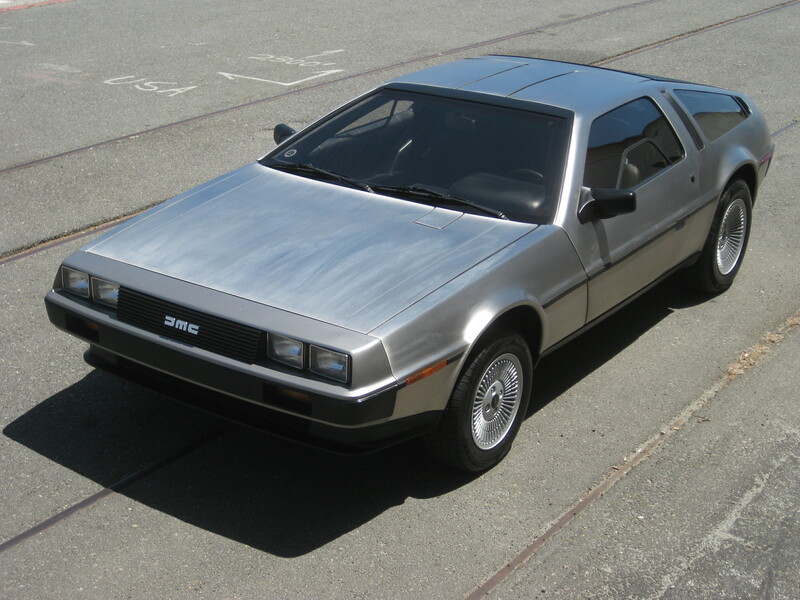 If you love Delorean’s then this is the one for you. Everything works, it runs great, looks great, feels great! It is rare to find a first year production DeLorean in this condition so don’t delay and get your hands on a piece of history. It will provide the new owner with a really cool car that can be enjoyed for years to come and if looked after will only appreciate in value especially with the new DeLorean’s about to come out into production. As always I would advise inspecting the car in person if at all possible, it will not disappoint. Please call for an appointment or with any questions (310) 833 1525 Mon – Fri 7:30am to 5:00pm Pacific time.